A huge training provider that has been educating disadvantaged adults for over 100 years could “disappear” if it loses £7 million as a result of devolution, the House of Lords has heard. The Workers’ Educational Association expects to lose a third of its income when the adult education budget is devolved starting next year – which will have catastrophic repercussions for an organisation founded in 1903. 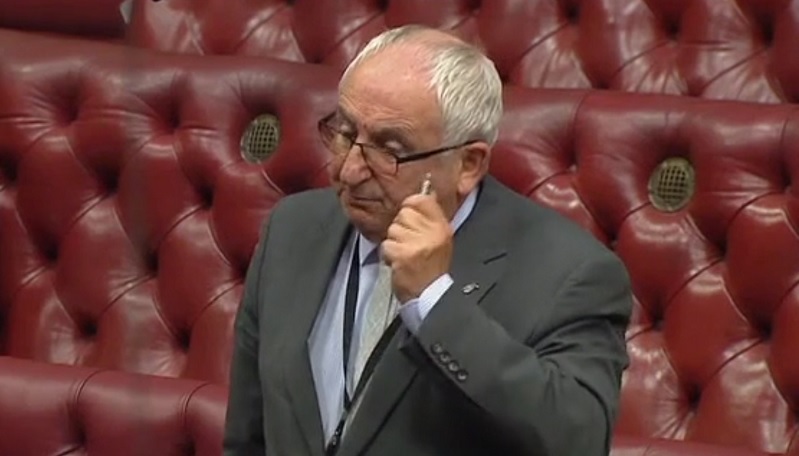 Lord Bird (pictured above), the founder of The Big Issue, warned that the WEA faces a huge reduction in student numbers as a result and could effectively “disappear”, during a debate in the upper house on lifelong learning last night. “Because of localism, which we know is decentralising and bringing the process down to as local as possible around decision making, the WEA will be stripped of about £7 million – about a third of its income,” said the peer, who is a patron. Seven combined authorities have so far signed devolution deals alongside London to take control of AEB spending in their regions from 2019/20. WEA, which is rated ‘good’ by Ofsted and has a £19.1 million AEB contract, has a presence in 2,000 locations across England and teaches around 50,000 disadvantaged learners every year. A spokesperson confirmed to FE Week today that the £7 million figure quoted by Lord Bird is WEA’s estimate for how much it will lose as a result of devolution. She admitted that while the WEA is not expecting to have to close, it is bracing itself for a substantial reduction in learner numbers “at the time when we are needed most”. 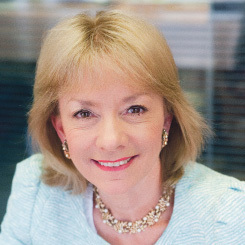 Ruth Spellman, the organisation’s chief executive, explained that the WEA will be affected by devolution of the AEB in three “major” ways. First, it stands to lose “around a third” of the value of its national contract in 2019/20. Second, it faces extra costs of contracting, managing, administering, and reporting to all of the mayoral combined authorities, plus managing both its current contract with DfE and contracts which will need to be developed in non-devolution areas. The third major impact will be to add “risk and uncertainty” to the WEA’s income so that it will be forced to hold additional reserves. “The net effect of these pressures will be to make cuts to student numbers inevitable at precisely the time when we need to increase our capacity,” said Ms Spellman. Lord Bird, who spent several spells in prison during his teens and twenties, told the Lords that he himself has been a recipient of lifelong learning, which the WEA was vital to. “When I was banged up on many occasions there were many people from the WEA who gave us all the classes we wanted around art, brickwork and crafts and sorts of things,” he explained. He added that if the country wants to stop “shrinking numbers” of adult education, then the government needs to find a way of helping organisations like this. Viscount Younger of Leckie, who represented the government at last night’s debate, claimed that devolution presents an “opportunity” for providers to develop their provision to meet local needs. He added it is “important” that organisations like the WEA “begin to make contact with mayoral combined authorities and the greater London authority to start a working relationship and demonstrate the ways they can contribute to meeting skills needs locally”. We do need to be a bit careful with this warm embrace of all things local. I grew up in Newcastle and long worked in central Government, so I’m as keen as anyone to challenge overly-centralist approaches to post-16 education and training, but that ought not to mean that we devolve EVERYTHING to local levels. We need a more balanced discussion of what should be done at what level. I agree Iain. In my view any potential benefits from the current approach to devolving AEB in isolation will far outweigh the costs. Quite apart from anything else a massive amount of resource that should be going to deliver front-line learning is going to be wasted on increased bureaucracy with the establishment of multiple mini ESFAs at local level and providers having to spend more senior staff time dealing with an increased number of funding agencies, diverting them away from delivering high quality teaching and learning for thec communities they are there to serve. Where does this leave educational, but not certificated or vocational courses that are offered in the DAY time by the WEA in the suburbs?, – (now that Local Education Authorities have no control on the leasing of rooms for such purposes). Where does a person attend an educational and tutor led course, near to home held in school hours say 9-5. For interest , information, social interaction and well being……, if these courses go? Has anyone thought this aspect through, and come up with alternatives?